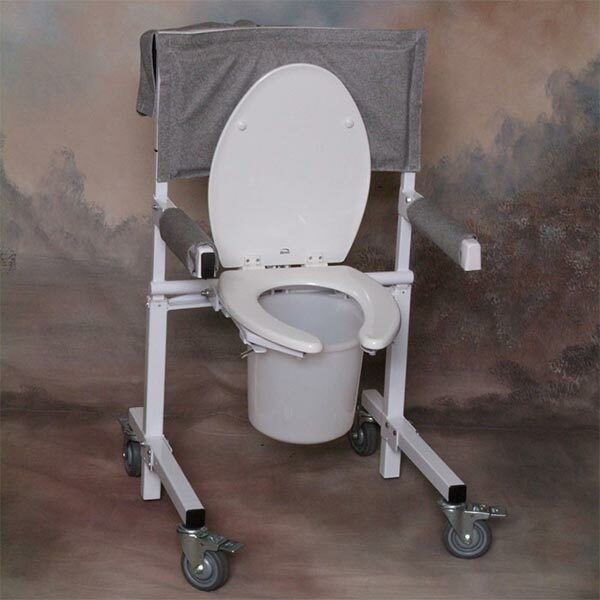 The Mobile Power Toilet Aid (PTA) is a power toilet lift designed for individuals with musculo-skeletal or neuromuscular limitations due to disease or injury. The Mobile Power Toilet Aid (PTA) is a useful toilet aid with a seat that can lift approximately 33cm about the toilet height, bringing the person using the toilet aid to a standing position. The benefit of using such an aid it to help reduce the physical stress on the knee and hip joints while maintaining a safe and comfortable environment. In the case where a carer is present, the PTA can also prevent back injuries normally caused through manual patient lifting. It is powered by a 12 volt rechargeable battery and will lift up to 180kg. The PTA is easy to use; a lift switch is mounted for fingertip operation. Lift switch located on right side armrest. Left side available on request. I am a long term sufferer of “Inclusion Body Myositis,” which is a disease affecting muscular strength of legs and upper body, resulting in increasing difficulty in standing up from the seated position. The unit arrived in flat packed form, and the assembly required only attachment of the wheels, and connection of the battery, which was easily accomplished without tools in 20 minutes. 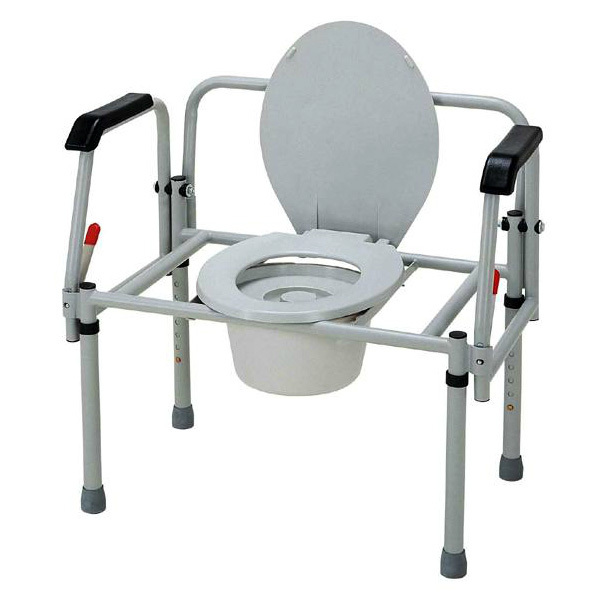 Once on its wheels , the unit is easily moved and fits neatly over the normal toilet bowl of 400 mm height. Operation is by a single control button on the armrest, which allows the seat to be brought to a comfortable height for mounting from the standing position. 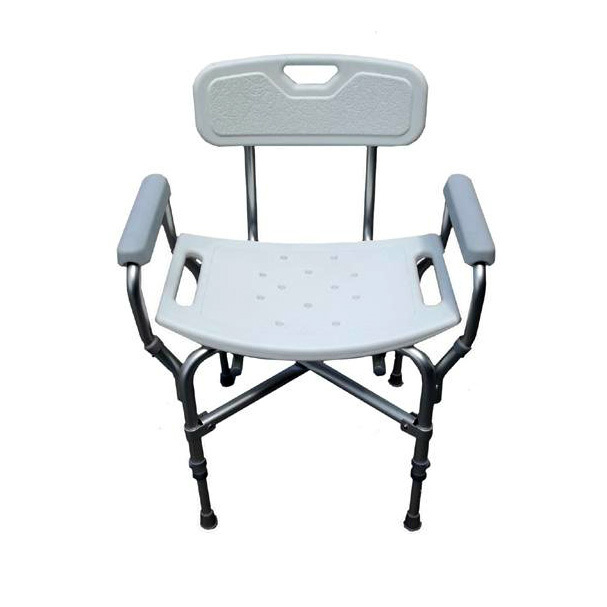 Once seated , the unit can effortlessly be lowered to any desired position, and subsequently raised to enable an easy transition to the standing position. The unit is very stable once the wheels are locked, and the lift motion is smooth and quiet. I would recommend the PTA unit to anyone with standing difficulty, and it has given me the benefit of being able to commence each day without the necessity of help from a carer.